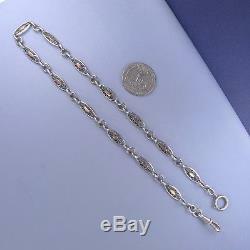 Offered for sale A Victorian pocket watch chain Two tones. 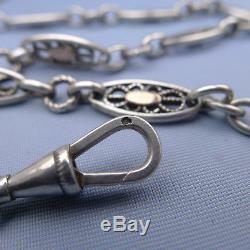 French sterling silver hallmark : boar's head Picture 2 : recto / Picture 3 : Verso. 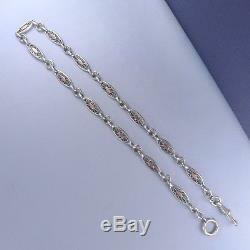 Length : 15 3/4 " (40 cm) / Width : 1/4 " (0.7 cm) Weight : 17 grams. 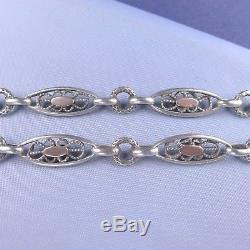 Good condition France, circa 1900. Don't forget to take the time to look through my store. 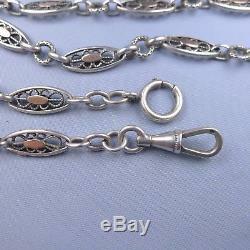 The item "Victorian Sterling Silver Pocket Watch Chain / Or Bracelet Antique Vermeil" is in sale since Wednesday, December 12, 2018. 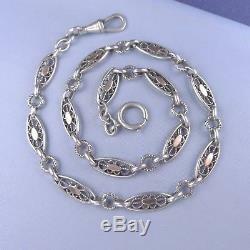 This item is in the category "Jewelry & Watches\Watches, Parts & Accessories\Parts, Tools & Guides\Parts\Chains".